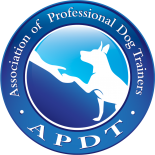 This is the first post in a short series where I will go into some of the different aspects of protection training for dogs. Protection training is very serious and quite complicated in the overall picture. We are not training a dog to bite people, that would be easy and a huge liability. We are training the dog to think on his own, protect his family, pay attention to things, be very obedient, and to bite real threats. Joe, walking down the sidewalk in front of the home is NOT a threat. Now if Joe starts yelling at me and coming towards me he is, that’s when I want my dog to react, but not bite until I say so or I am in a real dangerous situation. There are a million scenarios in which a protection dog can benefit you, we’re not going to go into them. First, lets talk about the behavioral traits we want in a protection dog. In choosing a protection dog we evaluate the temperament of the dog, we want him to be solid in all aspects, aloof to distractions, have great prey drive and food drive, and overall pretty confident. These things over time will help greatly in our training and life with the dog. 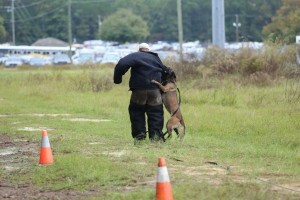 At the end of training for your protection dog you want him to be a very obedient, well rounded dog. So we choose traits that genetically reinforce that from the beginning. I mentioned prey drive as a trait we want in our protection dogs. Prey drive is the dogs want to chase and shake things that move. If you ever have had a puppy you know that moving hands, towels, and feet are prime targets. Prey drive is fun for the dog. His tail will be up & wagging, he doesn’t feel threatened, he’s got a high pitched bark and his cackles aren’t raised. He’s comfortable in prey drive and is happy! We use prey drive to teach the mechanics of biting and fighting to the dog. As we progress in training the dog we use prey drive to relieve the stresses of defensive drive which is what the next post in this series will be about.